Specializing in commercial real estate investment properties. Expert in eminent domain issues, investment analysis, cash flow analysis. Expert witness, strong appraisal background. AQB Certified USPAP Instructor. Appraisal Institute Instructor. CE Instructor. Adjunct Professor Florida State University. Past Chair Florida Real Estate Appraisal Board. Serve on Probable Cause Panel. Licensed Broker for over 30 years. Special Master for Value Adjustment Board. 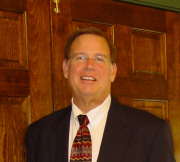 Owner of Ketcham Appraisal Group, Inc since 1984. Expert in real estate investments, appraisal standards and education. This page has been visited 740 times.